I’m now working full time on BS Bass v4, The History of Timba – 1989 to 2001. 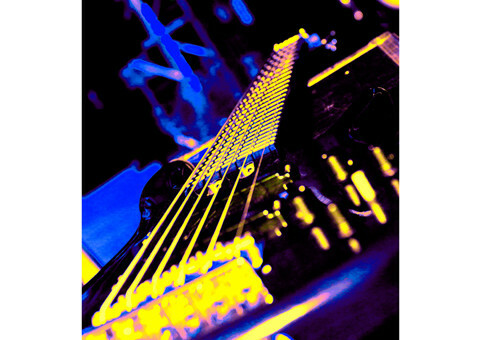 The bass tumbaos are the easy part, but now we have to consider that the bass – for the first time in the history of Latin popular music – will be expected to do something besides play bass tumbaos. In fact, the defining quality of a timba gear – be is presión/pedal, masacote or bomba – is the absence of a bass tumbao. Where I would very much appreciating help is on the history aspect of this era. I need memories, anecdotes, photos, links – anything to do with the music of Cuba from NG La Banda in 1989 to January of 2001. The massive 442 page BS Bass Vol. 3 is now available at all the usual sites. The bass books have been a great excuse for an in-depth history of Latin music as a whole. Vol. 3 fills in some important gaps: the descargas of the 50s, Latin jazz, Puerto Rico and New York salsa, as well as my most detailed coverage to date of post-revolution, pre-timba Cuba. The third Pupy book will be out next week. In light of the tragic passing of Juan Formell, I spent a lot of time on Van Van history and eulogizing this seminal figure – as well as the usual piano tumbaos. Now it’s on to Bass/History Volume 4, which is actually where the journey began for me – the timba of the 1990s. It will cover the history of Cuba in the 90s with the same level of detail (or more) than Volume 3 applied to its topics. 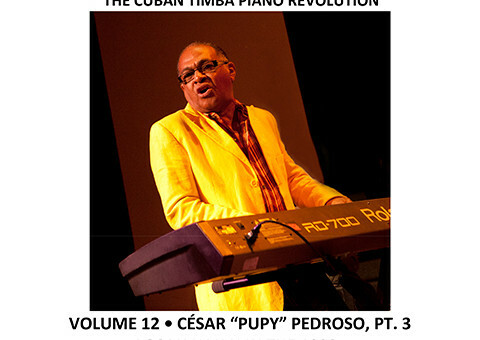 The free Pupy audio will be here: http://www.latinpulsemusic.com/albums/show/450. Bass+History Vol. 3 Goes Live! Beyond Salsa Bass, Volume 3: Salsa Songo and the Roots of Latin Jazz is finally done and is live on createspace.com. It will be on LPM soon. It’s 440 pages and the audio product ($9.99) has 616 tracks. There’s also a free 60 track audio download that you’ll be able to download even if you don’t buy the book. I’m also getting close to publishing the third book on Pupy Pedroso, covering his work in the 1990s with Los Van Van. Volume 4 of the bass/history series will cover the golden age of timba – the 1990s. This one has gotten a bit long. I’ve also updated the Beyond Salsa Books Facebook page: https://www.facebook.com/BeyondSalsaBooks. More on all of this soon. I’ve added a product description for Beyond Salsa Bass, Volume 3. I’m hoping to have it done by February. Merry Xmas and Happy New Year’s to all. In other news, check out the new Pedrito Martínez Group album. I wrote some of the liner notes. While writing BS Bass V3, which contains bass tumbaos for all the piano tumbaos of BS Piano V3 and V4, I discovered an error in the piano part for Tumbao 11, in the style of Rumbavana’s No llores no vuelvo. I had the last chord as G (V) but it’s really C (I). To fix this, the fifth note from the end (of the piano tumbao) moves from B to C and the fourth note from the end moves from D to E. This will be fixed in V. 1.1 of BS Piano 4 and I will provide a free download of the notation and audio in a post here in about a month. I also discovered that Rumbavana’s bassist, Silvio Vergara, is OFF THE HOOK! Really amazing tumbaos and controlled improvisation on all of the Rumbavana from this period. In addition to covering all of the material from V3 & V4 of the piano series, Bass 3 will have sections on Latin jazz and salsa, so it will be at least 2 months before it’s done and it will run well over 200 pages. Beyond Salsa Bass Volume 2 is LIVE!! The second editions of BS Bass V1 and BS Piano V1 and V2 are also now live. For classical music enthusiasts, I heartily recommend Robert Greenberg’s new “Twenty Three Greatest Solo Piano Works” course, which coincidentally also came out today – from The Teaching Company. Check the Purchase links page for a free audio download from the new Bass book. Here’s the link. (en español también) Salsapower.com is a massive bilingual site packed with reviews, articles and city-by-city reports. In other news, Beyond Salsa Bass, Vol. 2, at about 220 pages, is almost ready for publication.